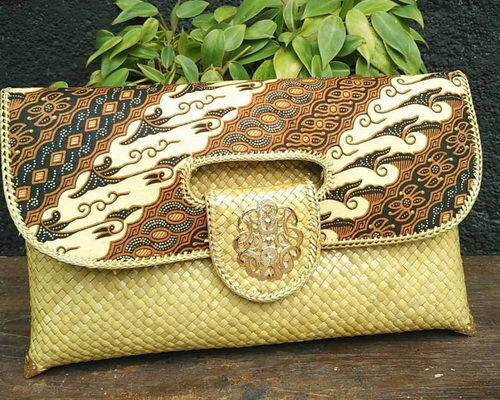 Tinuku ~ Inssoo studio based in Yogyakarta taking tradition pandanus woven become luxury fashion accessory. 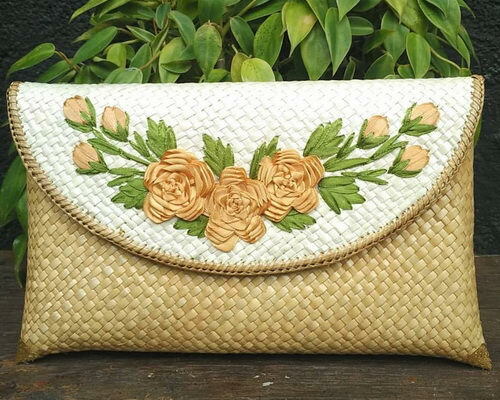 Tropical plant leaves woven using traditional techniques performed in clutch in beautiful and artistic rustic design. 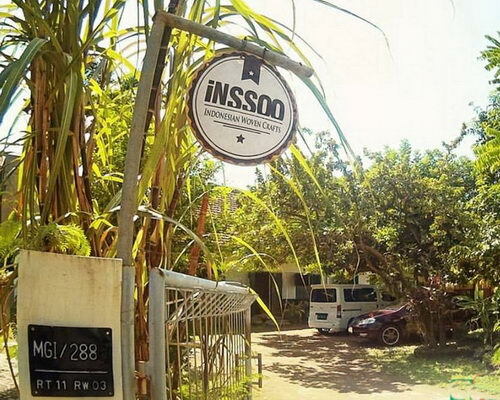 Inssoo studio implemented handicraft techniques and plant material as ethnic traditions into artistic work to keep the female equipment. 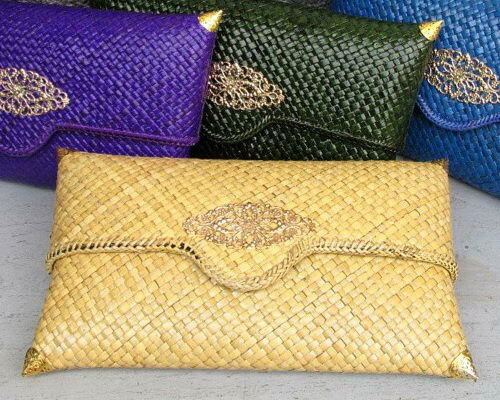 A project implementing traditional activities to bring classic retro fashion works shaped clutch using materials from nature. The leaves of the pandanus plant grows in tropical geography through the process manually by fiber selection and drying so it has very sufficient strength into functional items in rural agrarian culture in the Earth's equator. 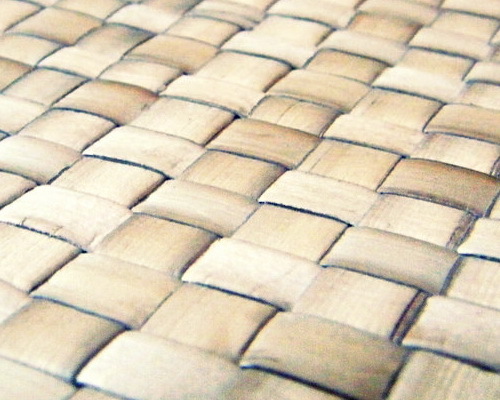 Woven products is art that affect in lives and culture of community. The weaving is process of crossing the fibers materials, so one cluster is strong and can be used. Material from the plants dried and processed with simple equipment require high creativity. Two meters length pandan leaf processed through several stages. Once harvested then be sliced or chopped up by elongated grooves. The leaves boiled in hot water to become soft then dried in the sun. 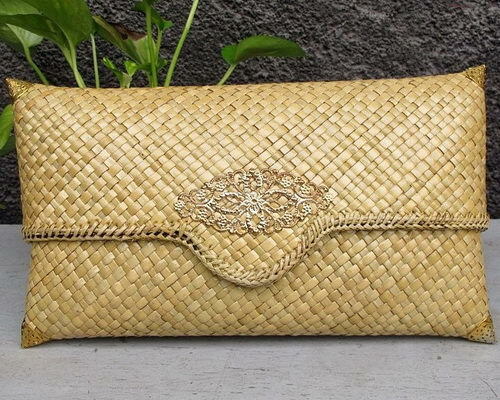 "We present unique fashion-based traditional crafts made from natural fibers and then woven into crafting bag is very beautiful and strong," said studio. 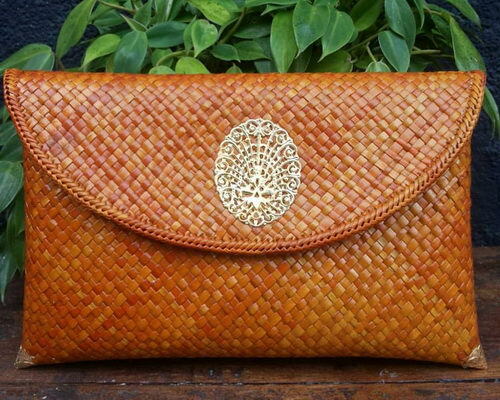 Pandanus woven texture intentionally exposed to bring beauty of nature spontaneously. Designers creative by playing variety of shapes, patterns, colors and usability to be meant. Decorating touches sometimes need to be applied to fit the context. 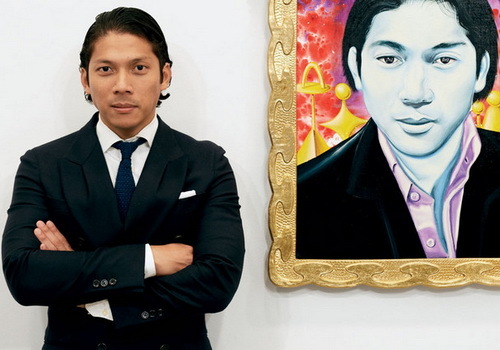 "We will also apply decopage embroidery techniques, while decopage painting only in very limited edition collection," said studio. Studio adding decorations large brooch made of metal sheen with ethnic motifs in the center as luxury accents. The corners crowned webbing reinforcement metal as ornaments as well as message concept promoted by the designers. Edge webbing wrapped suture technique using woven plant fibers as binder in order to keep them together appear to be unity in design aesthetic. 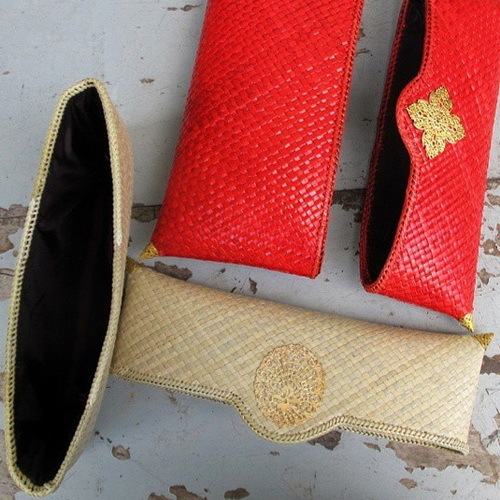 Crafts done very carefully by traditional craftsmen produce strong clutch for carrying goods.